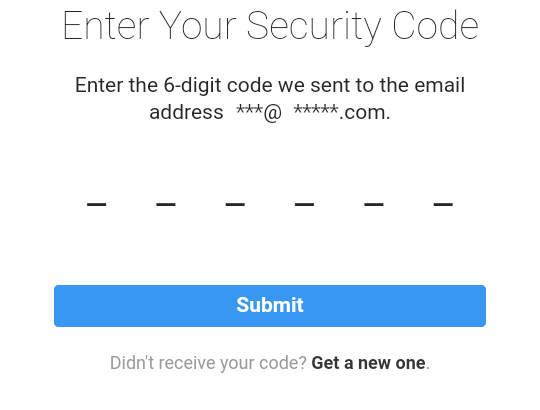 Why can I receive reset my password email but can't receive my security code from Instagram? Why did Instagram itself create spelling mistakes in my verified email so that I can no longer receive a security code? I have my username and password, and I've received security codes many times in the past. This problem should be fixed. We're sorry for any inconvenience this caused. Android Password Recovery + 2 Step Auth. What happens? How to login to Android with Security Key?